Bringing the latest news updates to you.. from the parks themselves.. No, not by e-mail.. No, not by visiting the park. Drumroll, please! By Twitter! Dun, dun, dun! That’s right, we’re bringing the latest news from the parks themselves to you directly from their twitter statuses. Get your chance to be the first to ride Intimidator! Carowinds has partnered with the Dale Earnhardt Foundation to host the Intimidator Charity First Rider Auction. For more info or to bid, go to www.intimidator.carowinds.com. Bidding begins at 9:30am! 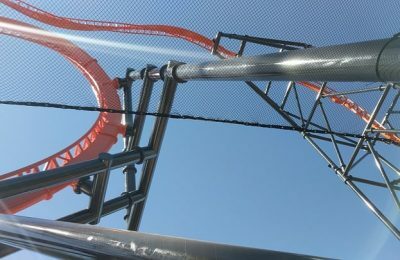 See our closer look at the Intimidator train #1! 2010 Cedar Point operating hours are now posted. Start planning your visit! Mark your calendars: Opening Day 2010 is Saturday, May 15! Full schedule coming soon. Seaworld Rescues Cold Manatee, go @Shamu!!!!!!! just because the park is closed doesn’t mean we aren’t busy. The 2010 season is going to be our best yet! 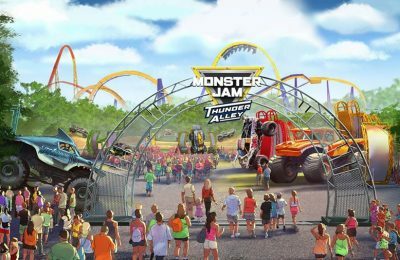 Monster Jam Thunder Alley coming to Cedar Point, Kings Dominion and Dorney Park this year!